We all have styles that we can't help but be drawn to, but when there is such a huge range of fabric it seems wrong to just stick to one. Different projects suit different styles best, so we are here to draw you out of your comfort zone and inspire you to try something new! We've put together our fabric style categories and our current favourite fabric range within that style too, so take a browse and see what catches your fancy! 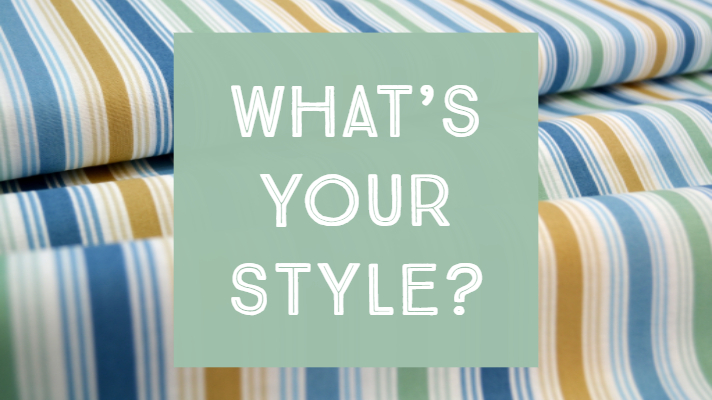 You can also click on the style name to go straight to our website to browse all the fabrics in that category. I am a sucker for modern quilts. They're so fresh and versatile and I love using big blocks of colour to brighten up a room. 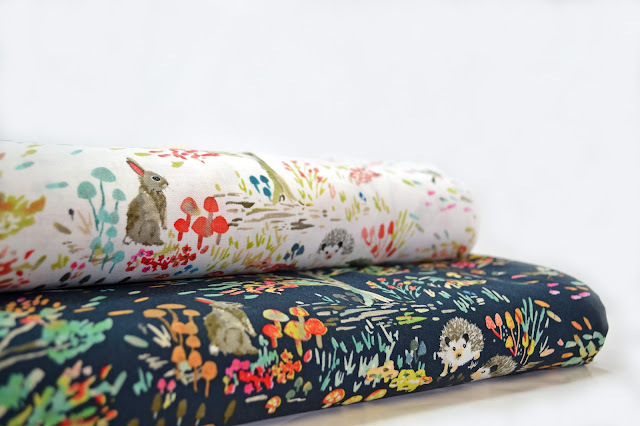 Enchanted forest is a beautiful range that combines bright colours and woodland animals with a clean modern feel. It has two wonderful quilt kits that, whilst are appropriate for children, have an a air of sophistication and style. When I think of fun and funky I think of big, bold, bright designs perfect for bringing a splash of colour to a room. It's the ultimate style for kids and teens, as well as any adults who love to fill their world with bright colours. We love how Daisy Chain is a modern take on the vintage floral vibe! Fun fabrics in a dreamy spring and summer colour palette. This collection has a little sweetness for everyone and is perfect for all things: from jumpsuits to quilts, and bags to baby clothes. Conversationals are those quirky, one of a kind prints that always stand out in the crowd. They are very often repeated icons that serve well as the main focus or theme for a project. Due to the variations of different conversationals we have we've decided to show you a mixture in the image below. I've picked out a range of bright prints to give you some examples of how conversationals can vary. I love the cool, quirky vibes and I think they'd make awesome stationary accessories, like notebook covers or pencil cases. Oh to be by the sea! I always find nautical ranges so dreamy. 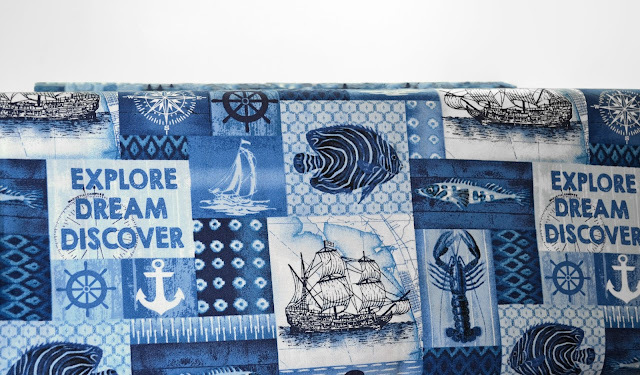 There are so many delightful designs in nautical ranges; oceans, fish, boats, beaches, seagulls. And these wonderful nautical aspects can be portrayed in such a fantastic variation of styles. Indigo Coastal is the first collection by Jennifer Parker for Studio e Fabrics. Tall ships, whales, sharks and other beach-themed images are all coloured in an on-trend indigo palette. Key patterns include a running yardage place mat design and an irregular patchwork. See the free table-setting project as an idea of how to use the fabric. 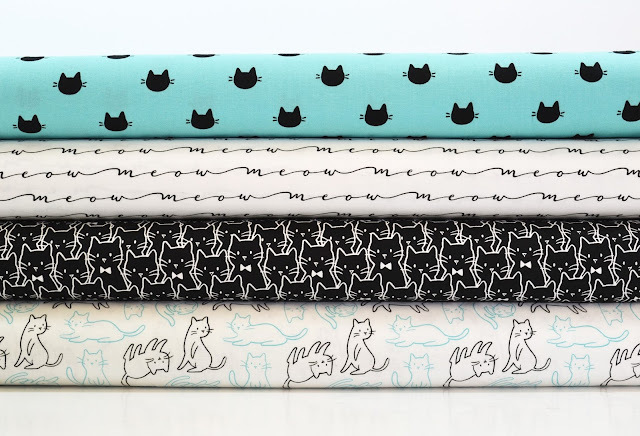 There's so many wonderful children's fabrics out there, from character panels to hungry caterpillars and cute dinosaurs, there's a vast range of designs and colours for different ages and interests. We're loving Merryn - it's bright, colourful and full of sea creatures (including mermaids!!). Calming pastels contrast with vibrant splashes of colour, creating a fresh and charming take on a well-loved theme. 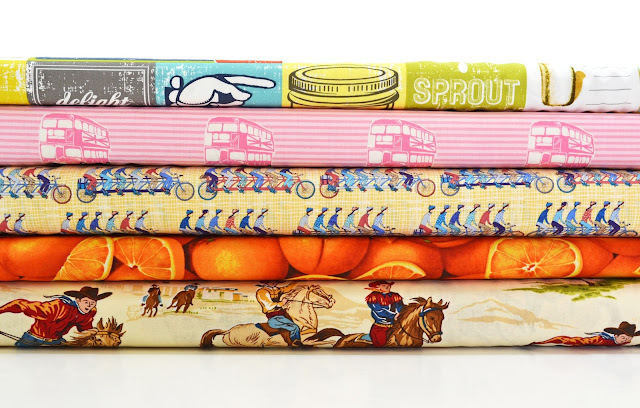 This range is perfect for a children's bed quilt; complete your project with a Wavy Stripe binding. If you're like me, trying to not make absolutely everything out of Batiks is a genuine struggle. 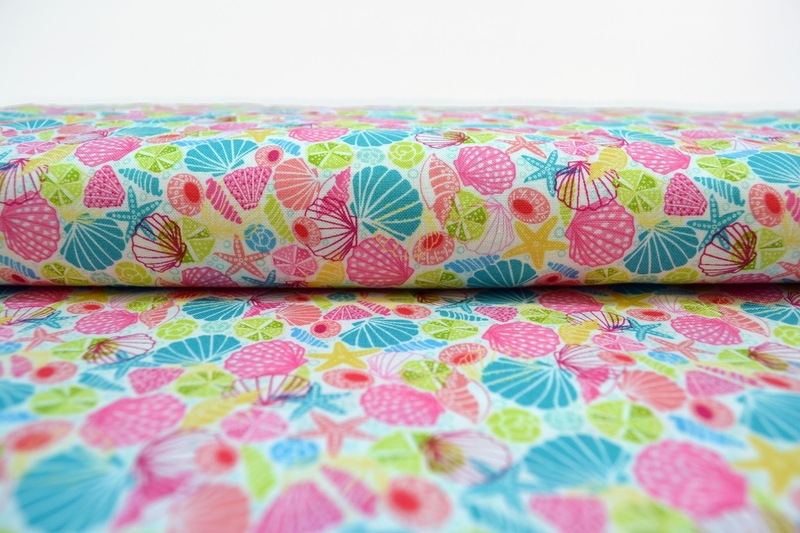 From the way they're made and designed to their vibrant colour ways and tropical prints I love everything about them. I especially love to use them for travel accessories like toiletry bags and hair wraps. Learn more about how batiks are made here. We've got some stunning new additions to our Bali Handpaints collection from Hoffman Batiks. Beautiful bolts full of colours bleeding into each other without any patterns over the top to hide the running dyes. There's also a stunning new fern leaf print that gives a golden glow over a deep purple wash that seeps in around the leafs edges. Nature inspires, and whether it's big and bold chrysanthemums or teeny tiny ditsys, florals are undeniably the most popular design choice for a multitude of projects.We have a vast range of florals, varying in styles, sizes, colours and of course flower! This charming floral collection from Makower comes in the prettiest shades of pinks, turquoises and reds. 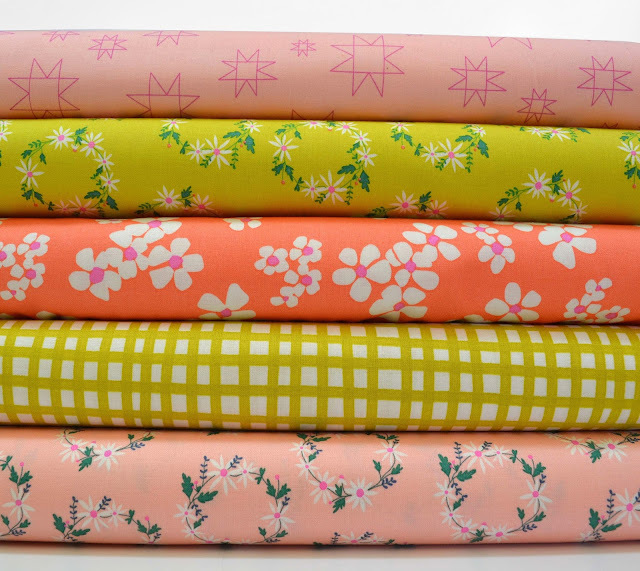 The large floral designs paired with the coordinating small ditsy prints make this collection perfect for scrappy projects and summer quilts. Our Nostalgia and Retro fabrics are either reproductions of fabrics from the 1920, 30's and 40's or they are stylistically similar. There's something that you can't help but love about these distinctive, quirky designs. Like many classic Nostalgic fabric ranges, with their retro designs and bright, primary colour palettes, Toy Box transports you back to women in the 1920's, scrubbing the stamps off of used feed bags and transforming them into colourful cotton dresses. Our Far East fabrics are either from Japan or are modern interpretations of Japanese, Chinese and Oriental themes. 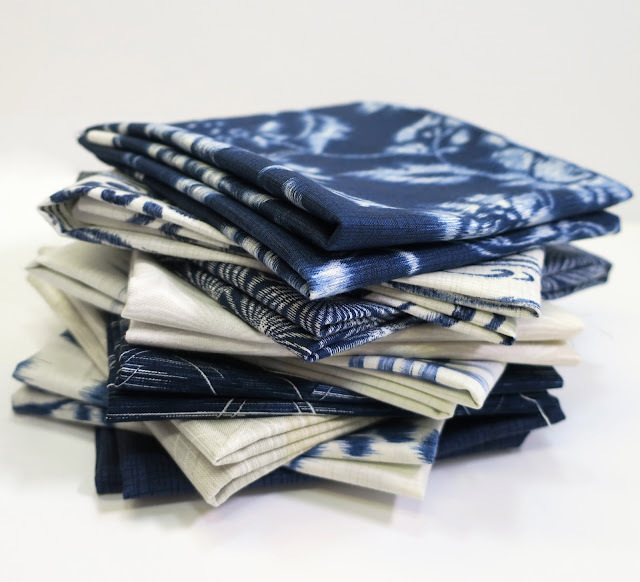 The are so many beautiful projects within Japanese patchwork and of course you can learn the art of Sashiko stitching! How beautiful are these traditional Japanese geometric and floral patterns in the classic indigo and cream colour palette. Put together in a quilt, you'll see the stunning jewel toned, glowing effect of the blues and whites come into play. Top it off with some Sashiko stitching and you've got yourself a stunning, unique Japanese inspired quilt. 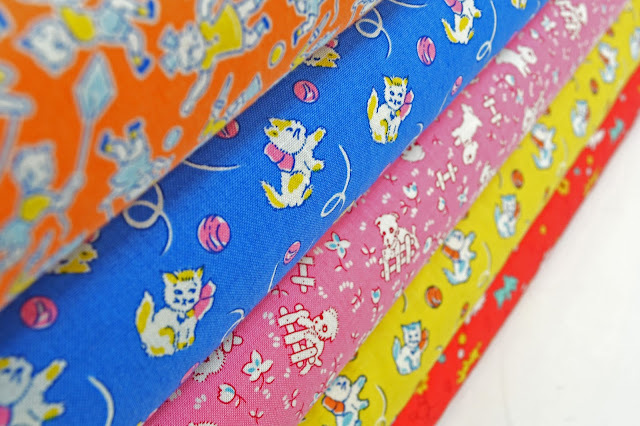 We have a variety of panels, cushion panels, quilt kits, packs and fabric by the metre, of your favourite furry friends. From woodland creatures, African big cats and ocean giants to beautiful butterflies and beasts from the past, there's a lot going on in our animal collection, perfect for a range of projects. Having tested the waters on our Facebook page with our Furry Friends posts, I think it's fair to say cats and quilters go together like bread and butter. These prints are so cute I'm paw-sitive they'll fly off the shelves! Traditional style collections are reproduction prints & designs inspired by fabrics of the past. There's often a distinctive, sometimes slightly muted, colour palette and florals are common place across traditional collections. 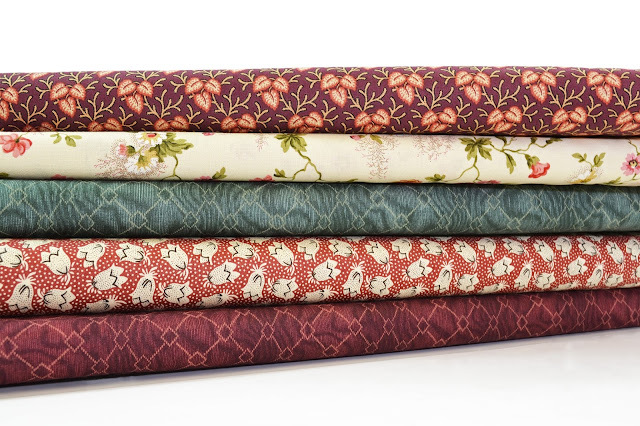 Deep jewel tones of red and green combined with fresh flowers on white, Giggleswick Mill holds the classic features of a traditional fabric range. 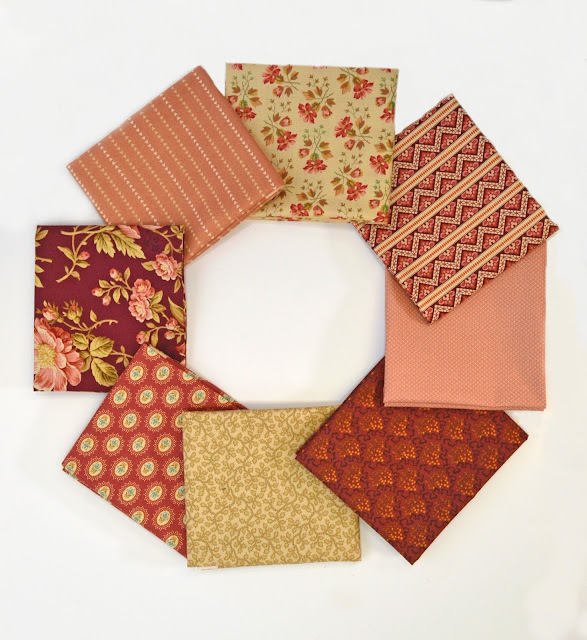 These fabrics would look gorgeous in a log cabin block, maybe combined with some essential lights. Whilst you'll often see similar prints in classic as in traditional, they'll usually be more of an interpretation with a modern twist, rather than exact reproductions. Often, the modern twist in collections is a variation in the scale of prints. For example, large scale flowers, combined with small ditsies and medium width stripes. Soothing blues, sweetheart pinks and chestnut browns combine to make this beautiful collection by Edyta Sitar. 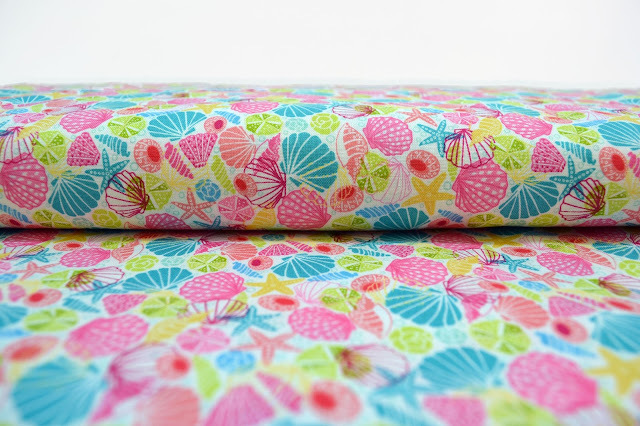 This charming fabric range transports you to a delightful, flower filled farm on a spring day. Crystal farm would make a beautiful summer quilt and picnic blanket. Or how about something a bit different like the lining for a woven hamper or an apron. Ditsies are the ultimate blender due to the fact they adapt to almost any other collection because to their range of sizes, styles and colours. They do also make wonderful, often retro style big block patchwork quilts just on their own, which are especially gorgeous for a little girls quilt. If you're looking for a more modern twist, the Bijoux range has a stunning Scrappy Diamonds quilt kit which incorporates different colour blocks of the ditsy prints to create glimmering diamond shapes across the quilt. Checks and gingham vary a lot in styles. There are lots of bright, modern ranges that would work well as blenders in summer quilts. 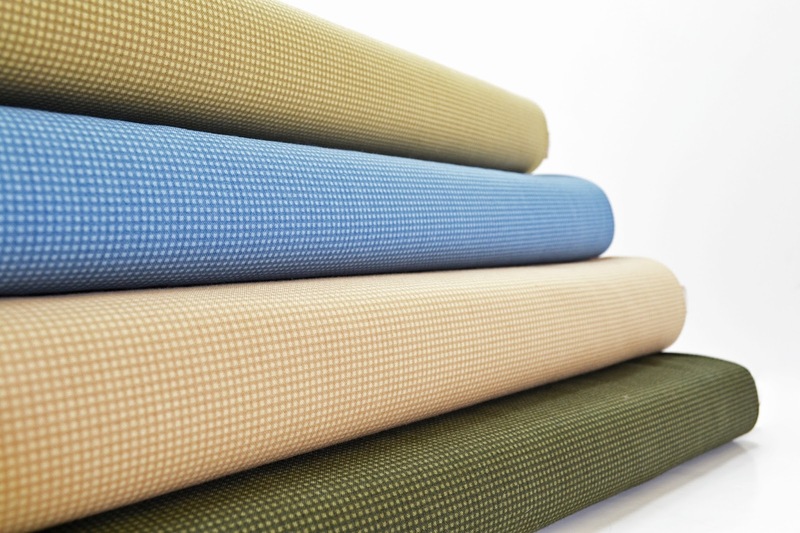 We also have a range of more classic looking checks that are smaller and come in a more traditional colour palette. Country Checks is part of a checks/spot/stars collection from Henry Glass. They work as fantastic blenders for more traditional style quilts and offer a classic, American country vibe. I think these would make wonderful doll clothes and children's toys! 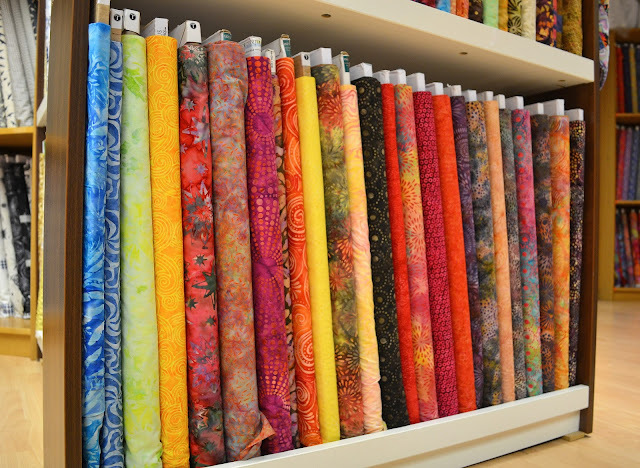 These fabrics are great for quilt art projects. Over on our Pinterest you can see our board dedicated to incredible quilt art, many using texture-like cottons. It's great to add the appearance of texture to a quilt, it can give it an exciting twist and really make it stand out. Texturescapes are extremely popular. We sell a wide range; some that create the appearance of a texture for example brush strokes and others that are more nature orientated, like leaves and water (these are often more realistic looking). Geometric prints have been a huge trend over the last couple of years and it's great how many variations of prints and styles you can get. They can be wacky and bold or they can be more subtle and modern. Geometric can also give you the opportunity to pick more subtle designs and instead focus more on colours - great for patchwork, especially if you want to focus on tonal gradient but you don't want to use plains. Ali Brookes makes her debut at Dashwood Studio with a collection inspired by maps and how the world looks from above. The combination of the muted tones with the map-like geometric images make this collection perfect for home decor like lampshades and clocks. Of course home decor fabrics vary for everyone. But there are some ranges that you look at and instantly think - that's meant for a house. There are also different types of fabrics that are great for home decor projects, like heavier weight or laminated cotton fabric. Whilst these muted colours and abstract designs could be used for a range of projects, Retro Vibes oozes sophisticated home decor vibes. In my mind, I'm picturing a totally zen room with scattered cushions and long curtains in these prints!